Many visitors to Las Vegas have complained about the smoke in casinos. They may be allergic, consider smoking unhealthy, or just don't like the smell. While there are a few smoke-free casinos, there are many more that offer smoke-free areas. If you are an avid nonsmoker you have several options when gambling in Las Vegas. Non-verbally let the smoker know you want them to stop or move away. You might make a hand gesture, pull out a medicated inhaler, cough dramatically, or sneeze. Let the smoker know, in polite terms, that you cannot tolerate smoke. It's the most straight-forward thing to do but not often effective. It's not likely that you are going to change the behavior of individual smokers so the next best thing is to locate the smoke-free, or close-to-smoke-free, areas in casinos. Here are some strategies for finding these nonsmoker-friendly areas. Gamble at the newer hotels. They have improved ventilation and air-filtration systems, which older hotels downtown do not have. It really makes a difference. Unless you are sitting right next to a smoker, it is hard to tell where the smoke is. Avoid the crowds. Not too long ago, Vegas was pretty much a ghost town in summer. Now, it is just as crowded as going to any other popular destination around the holidays or summertime. But there are days and hours of the day (like early morning) when casinos are not as crowded. Fewer people means less smoke, so if possible schedule your gambling around these times. 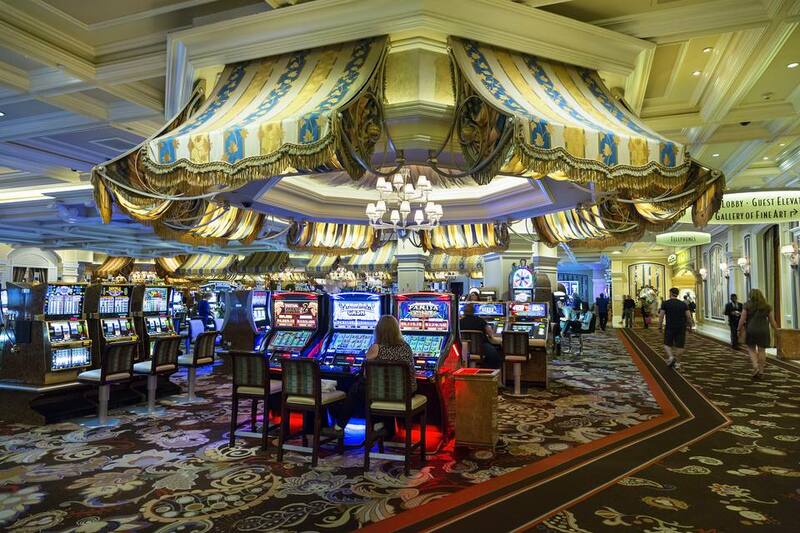 Bellagio designates some gaming areas, including the poker room as non-smoking. They evaluate each pit in the casino and make adjustments day-to-day for nonsmokers. Harrah’s Las Vegas has a 1,000 square foot non-smoking gaming section, which includes reel slots, video poker machines, blackjack, and roulette tables. MGM Grand offers non-smoking gaming tables and a designated nonsmoking slots section in the main casino. The Mirage has fresh air pumped into the poker room and contaminated air pulled out of the building. Not only does this help to keep the air clean, but rumor has it that oxygen is pumped in to keep gamblers awake so they will not leave the tables. The beautiful Venetian and Palazzo casinos have a section for smoke-free gambling. While many other states have laws that require that there be some completely non-smoking casinos within the state, the same is not true in Las Vegas. Hotels and casinos that want to offer a non-smoking facility are taking a financial risk because many people prefer to smoke while gambling and go to Las Vegas to enjoy their vices. In addition, all showrooms are now smoke-free. Most hotel-casino convention centers are non-smoking. Indoor pools, family arcades, and health spas are also generally smoke-free. All restaurants are now smoke-free in Las Vegas so you can be sure to enjoy your meal without the smell of tobacco. E-cigarettes are not covered under the tobacco-smoking law in the state of Nevada, so they are legal in casinos and throughout Las Vegas. Legally, you can smoke an e-cigarette in an area that says "no smoking," however if you see a sign that says "no vaping," they do not want you to smoke e-cigarettes there. In 2017, recreational marijuana was legalized in the state of Nevada. People over the age of 21 can go to a licensed dispensary and buy marijuana and marijuana-infused products. However, it is illegal for anyone to smoke marijuana, medical or recreational, anywhere on the Strip because using is permitted only in a private residence. So you cannot smoke marijuana in casinos or hotel rooms. Can a Family Have a Good time in Las Vegas?